Yedidut is Hebrew for friendship. The Yedidut program helps Yavneh remain true to our mission as a Klal Yisrael camp by creating an inclusive environment where campers with special needs can feel at home. We create opportunities for friendships by understanding the needs of every camper and giving each camper the ability to participate and thrive in an inclusive environment. A higher counselor to camper ratio in bunks with Yedidut campers help ensure a quality bunk experience. All of our madrichim go through extensive professional development to learn how to work with our diverse camper population. 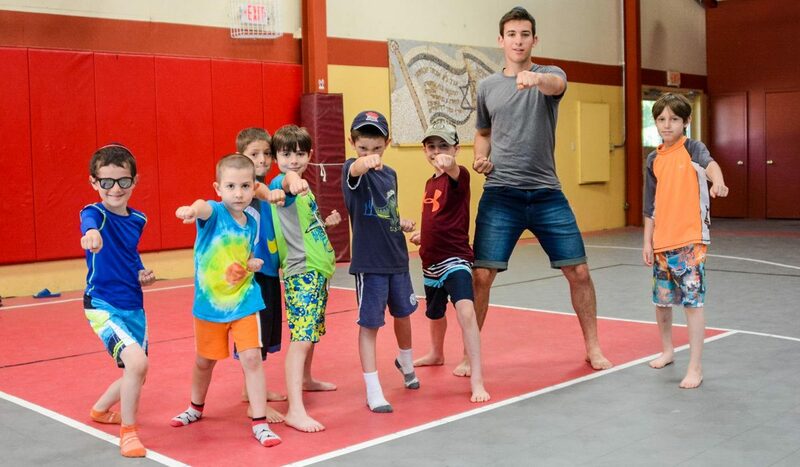 Our goal at Camp Yavneh is to support all campers in their efforts to participate in fun, engaging experiences which match their abilities, share meals in a group settings, and develop strong peer-to-peer relations for a lifetime of friendship. We place extra emphasis on teaching our campers, through experience, to value our diverse community. The application for Yedidut begins early on in the school year. The Yedidut coordinator partners with each family and meets with them to discuss their child, including areas of strength and concern. Next, a time is scheduled for the child to be observed in their home environment. Based on the individual assessment, the Yedidut coordinator develops a plan to foster a successful camp experience. This process takes place prior to the beginning of camp. To ensure that we achieve an environment where the needs of every camper are met, Yedidut is a limited program. Furthermore, in an effort to make Yedidut a realistic possibility for as wide an audience as possible, there will be no additional charge for this program. Miriam Loren, our Yedidut coordinator is a Barnard College graduate and earned a Master’s Degree in Early Childhood and Special Education from Teachers College at Columbia University. Miriam worked at TheraCare where she was trained and gained skills in Applied Behavioral Analysis (ABA). During her time at TheraCare, Miriam provided ABA based special instruction services to individual children. Additionally, Miriam has spent time working as an evaluator, using criterion-based assessments, to determine eligibility for Early Intervention (EI) and preschool-aged services (CPSE). Miriam worked for several years at Achieving Milestones, an EI-based program through Westchester Jewish Community Services (WJCS) and ran several EI classrooms for developmentally delayed children and their parents. She continued to work with children who have been diagnosed with Autism, Asperger’s Syndrome and Pervasive Developmental Disorder using ABA and evaluating children for services. Miriam also represented Achieving Milestones at IFSP meetings. Additionally, Miriam sits on Westchester Jewish Council’s Building Communities Roundtable, a committee focused on the inclusion of developmentally disabled children into mainstream synagogue, school and community activities. Currently, Miriam is working for Yedidut and otherwise is at home tending to her five small boys and volunteering at their respective schools. Miriam served as the Parent Association President at Carmel Academy for six years and has volunteered for other school functions. 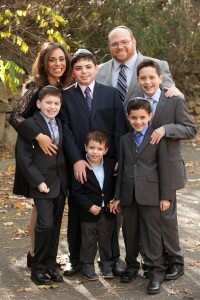 Miriam lives in New Rochelle, NY with her husband Ari and their five sons. To learn more about Yedidut and find out if it’s right for your child contact Miriam Loren.